The box is ported, tuned to 26hz and around 2.05 cubic feet. very limited for an f150 for box sizes! Subs are powered by a alpine pd-m12 amp set to about 70hz for crossover. 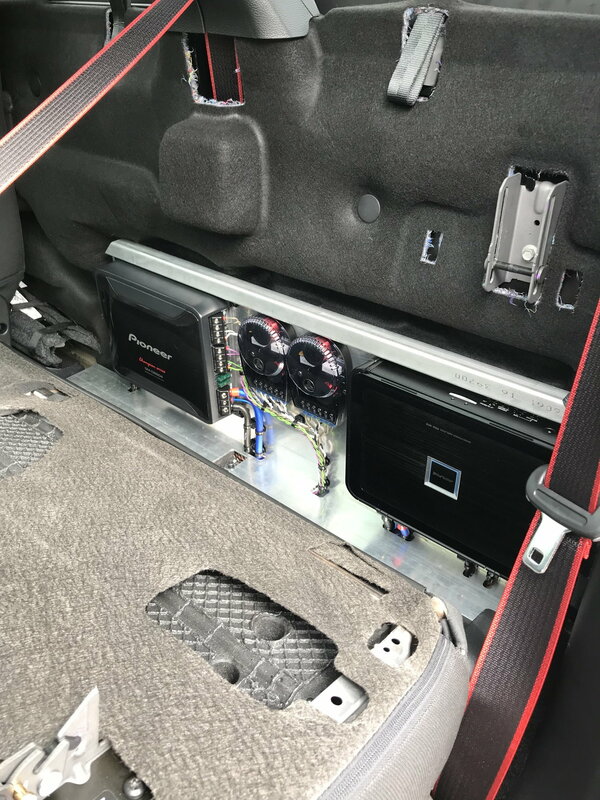 I noticed after my build that the bass seems very punch compared to old car an escape suv with a alpine 15 type r in a ported box. Now that sub was pointed up and port back and sounded amazing and the fox box is pointing downward firing. The sundowns seem to have the output but I can't get the bass to sound deep or it seems every much boosted at 100-200hz maybe? sorry no expert just sound really excess kick drum or upper bass freq. How can i get it deeper with the existing setup? can I stuff polyfill into the box to help it appear bigger to the subs? i think that is about it unless I am missing something. Game: untold story, awesome cd for deep bass!